I just wanted to wish you and your loved ones a very Merry Christmas! I hope you and your family have a blessed Christmas filled with love, laughter, happiness, good health and that this continues into the New Year! This entry was posted in Uncategorized on December 25, 2015 by Maicurls. 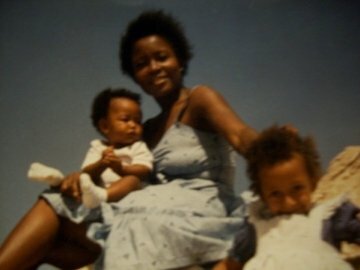 I want to wish my mama and all the other mothers out there a wonderful Mothers Day! I hope you are spoilt rotten and treated like the strong and beautiful Queens! This entry was posted in Uncategorized and tagged happy mothers day, Mothers Day, Naturals mothers day on May 10, 2015 by Maicurls. A little over a week ago I was honoured to introduce you to Ms. Sharon Njavika from AJANI Handmade. 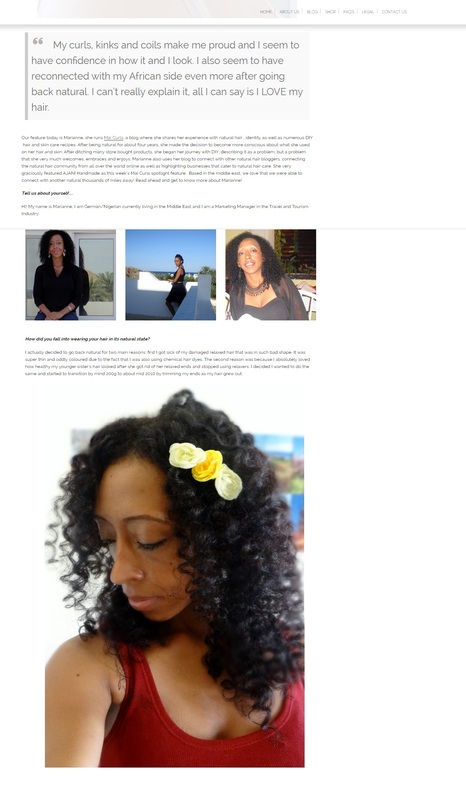 The lovely Sharon was kind enough to feature my natural hair story and journey on AJANI Handmade’s Blog. I am flattered to have my story as part of her beautiful Blog, Thank You Sharon! You can read the full story here and please take a few minutes to go over the rest of the wonderful stories and information provided on the Blog. I love the feel, look and content of her Blog and I am sure you will enjoy reading through it too! Once again Thank You Sharon, you turned my story into a wonderful feature! 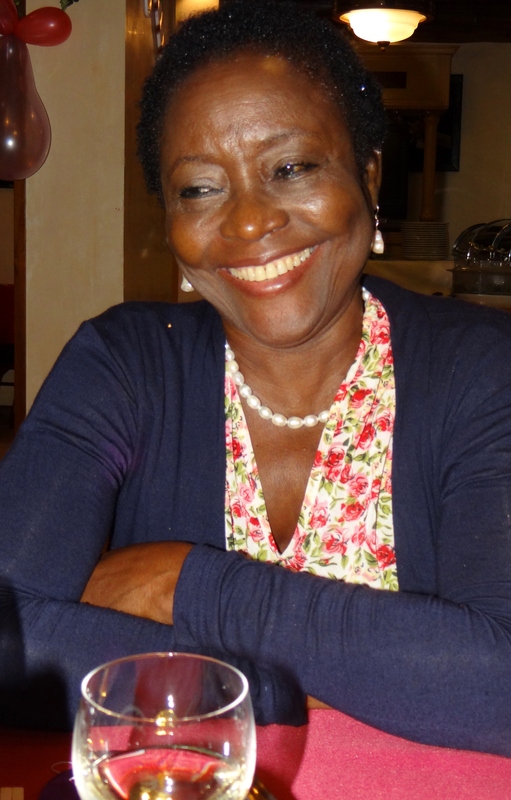 This entry was posted in Features on other Naturalists Blogs, Natural Hair Communities, Natural Hair Forums, Natural Hair Journey, Natural Hair Story, Uncategorized and tagged Feature Stories, Features on other naturalists Blogs, Natural Hair Communities, natural hair forums, Natural Hair Stories on April 29, 2015 by Maicurls. I have two recipes to share today. Both of these mixes are for the lips. This baby is fabulous! 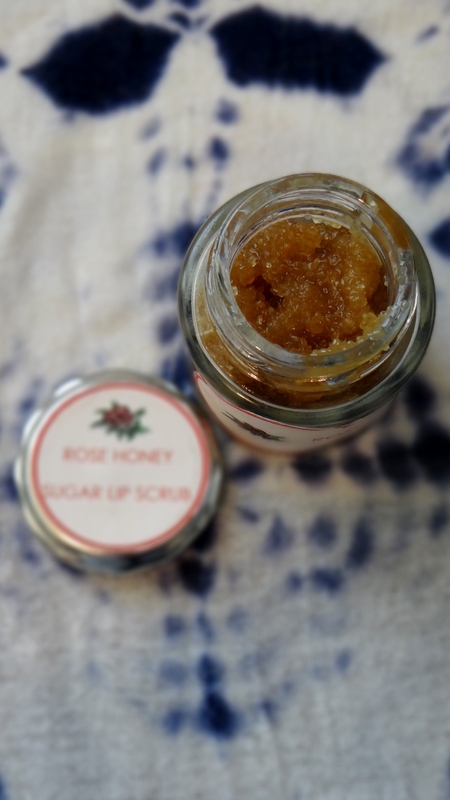 I use the sugar scrub 1 – 2 times a week maximum to help exfoliate my sensitive chappy lips. Do not scrub more than twice a week otherwise you run the risk of ending up with a raw, fragile and over exfoliated pout! I first mix the Raw Honey and Rose Infused Oil together and then add about half the Sugar. After mixing in the first half I add the remaining Sugar. The Essential Oil is added at then end and then everything is transferred to my container. As I mentioned I apply the scrub once or twice a week after I have washed my face and removed my makeup (including anything on my lips). I make sure my lips are a little damp with water and then in a circular motion I lightly rub the scrub over my lips. I like to leave it on for about 1 minute and then splash it off with water. Brown sugar – helps to gently remove dead skin from the lips leaving you with a soft supple pout without being too harsh on the skin. (I prefer using brown sugar over white sugar but there is no harm in using white sugar.) Raw Honey – a light humectant that helps to draw moisture in the air to the lips, making it a super moisturizing ingredient. It has light anti bacterial and antiseptic properties so it helps to heal cracked lips. Rose Infused Grapeseed Oil – the oil will help trap in all that luscious moisture from the honey, it is light and therefore will not clog up the skin. The infusion of rose adds to the scent of the mix. Peppermint Essential Oil – this is an optional ingredient but I LOVE it. It helps to stimulate blood circulation giving you a tingling sensation, makes the lips plush and it also helps to keep the scrub from going off too quickly due to it’s anti fungal properties (it is not a preservative but helps to extend the shelf life of a product a little). I first melt down the Cocoa butter in a double broiler for no more than 5 minutes and then add the Virgin Coconut oil to the melted butter (off the heat). The warmth from the Cocoa Butter will melt down the Coconut Oil. I add both the Rose Infused Grapeseed Oil and Castor oil to the mix followed by the contents of two Vitamin E Oil Capsules. The final step is to add the Alcohol Free Rose Fragrance Oil (optional) and the Essential Oil (optional). I then pour the mix into my containers and then let them set in the fridge for no less than 4 hours (usually overnight). I have become obsessed with this lip salve so I do not only apply it at night but during the day too! Anytime really…but I do make a point of putting it on before bed. I also ensure that after I have scrubbed my lips I apply a sufficient amount of the salve. I make enough of this to keep a container on my bedside table, in my bathroom, my dresser and in my office . 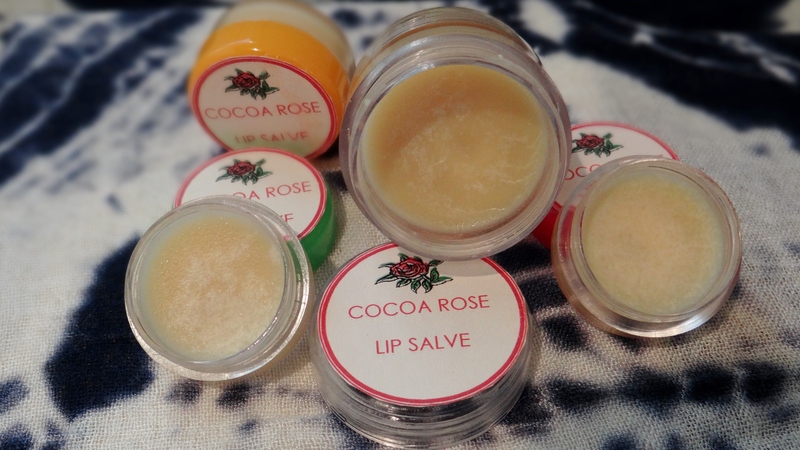 Cocoa Butter – an excellent butter that has moisturizing and soothing properties. It gives the salve hold yet still allows it to melt immediately upon contact with the skin providing a light sheen and glisten. Virgin Coconut Oil – is easily absorbed into the skin, has moisturizing properties and leaves the skin feeling soft. Castor Oil – is a humectant as well as being a sealing oil so it attracts moisture in the air to the lips and helps to heal damaged, dry and chapped lips. Rose Infused Grapeseed Oil – is a light oil that helps to seal in the moisturizing and nourishing benefits from the salve and provides a light sheen. I like to use alcohol free fragrance oil, because if provides a luscious scent to the salve and is not damaging or drying. Peppermint Essential Oil – (optional) helps to stimulate blood circulation giving you a tingling sensation, makes the lips plush and it also helps to keep the salve from going off too quickly due to it’s anti fungal properties (it is not a preservative but helps to extend the shelf life of a product a little). Vitamin E Oil – is super moisturizing for the lips, helps generate new skin growth and contains nourishing properties that helps to keep the lips supple and soft. NOTE: Make sure that your fingers are dry before taking the products out of the container (before application) in order to keep them from growing bacteria. 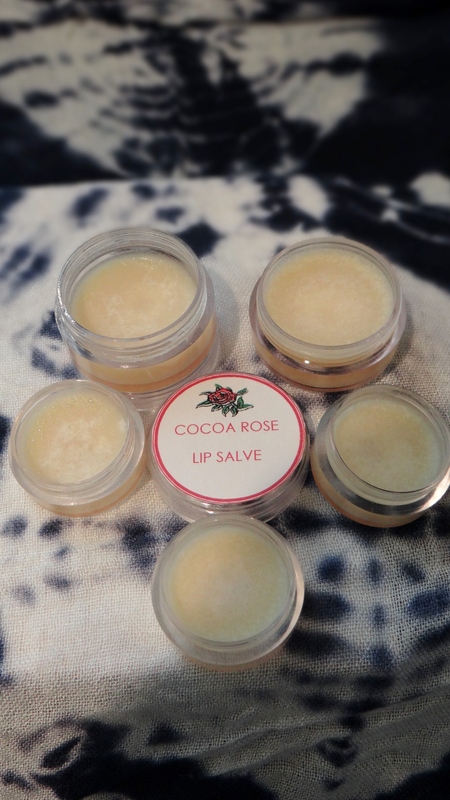 Since the Lip Salve does not contain beeswax it might become a little soft during the summer months therefor make sure not to keep them in your bag or pocket because it can melt and spill. Use the scrub no more than twice and week to ensure you don’t over exfoliate. You can apply the lip salve anytime you want, so if you make a few batches you can keep some handy in random places e.g. bedside table, dresser, bathroom cabinet, office desk etc. I would love to hear if you try these mixes. 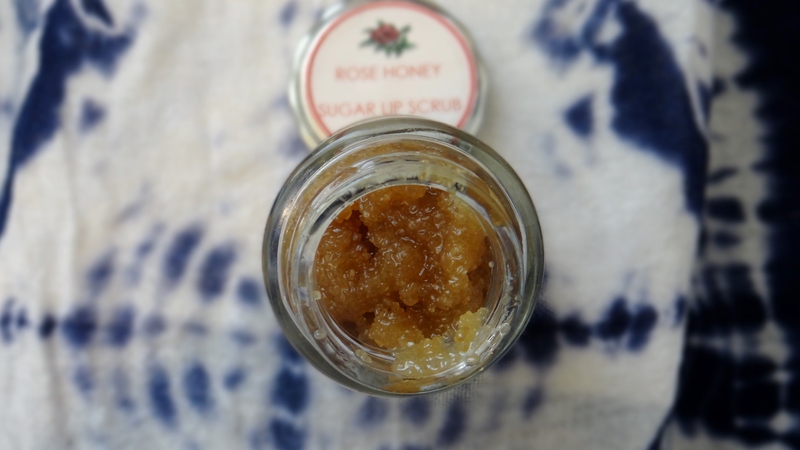 If you have a favorite DIY Scrub or Lip salve/balm let me know, I like to experiment (as you know)! This entry was posted in Castor Oil, Cocoa Butter, Cocoa Butter for Skin, Coconut Oil for skin, DIY Lip Balm, DIY Lip Salve, DIY Lip Scrub, Honey for Skin, Raw Brown Sugar, Uncategorized, Vitamine E Oil for Skin and tagged brown sugar lip scrub, Cocoa Butter, Cocoa butter for lips, Coconut Oil, Coconut oil for lips, DIY Lip Balm, DIY Lip Salve, DIY Lip Scrub, Peppermint Essential oil for lips, Raw Brown Sugar, Raw honey for lips, Rose oil for skin, Sugar Lip scrub, Vitamin E oil for lips on March 19, 2015 by Maicurls.